Globe celebrates September 16 and 17 with the Social Good Summit which will examine the role of technology and new media in addressing difficult challenges that the country faces particularly in the area of disaster risk reduction and management (DRRM). This is by stressing the company’s well-known “0916” and “0917” number prefixes. 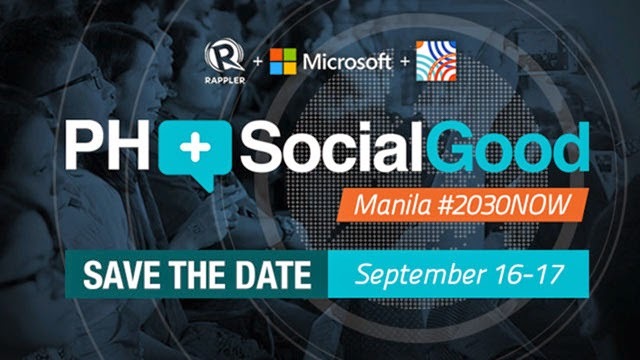 Dubbed PH+SocialGood: Manila #2030NOW, the two-day Manila leg of the New York-based initiative to be held at The Mind Museum, will particularly focus on how technology can be used to deal with climate change and the impact it leaves behind; how businesses can transform and empower women; how efforts to collapse the digital divide are helping bring the Internet to everyone; and finally, how people can help ensure that there will be no casualties when the next typhoon comes. “Telecommunications is a vital component of DRRM, thus, Globe continuously works on ways to limit the impact of any disruption in its operations especially during calamities. It has a business continuity management policy in place which prioritizes the safety of the people and ensures the delivery of products and services even during disasters," said Yoly Crisanto, Senior Vice President, Globe Corporate Communications.